Have you heard this one? Chickenpox Pops! Family physician Douglas Kamerow, a former assistant surgeon general, is a chief scientist at RTI International. He lives in Washington, D.C. I remember when our kids got chickenpox. We were returning from vacation, and our middle child had been feverish and complained of a headache. When we got on the plane to go home I saw the characteristic signs. Doctors call it a “dewdrop on a rose” — tiny clear drops of fluid on a flat red rash. But when you’re up in the air, there’s not much you can do. I had to hide him from the other passengers, so I bundled him up and put him in the window seat, hoping he wouldn’t breathe on anyone. Sure enough, within a week all three of our kids had classic cases of chickenpox. 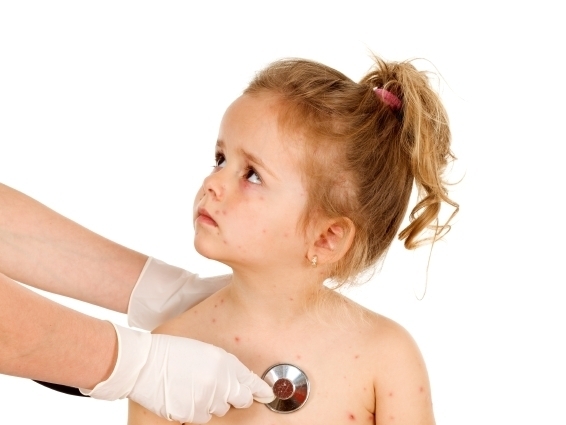 Chickenpox, real name varicella, is caused by the varicella zoster virus. It is usually mild, lasting about a week or so, with fever, headache, malaise and the famous rash. But occasionally, complications set in: overwhelming infection, sepsis, acute nephritis, renal failure, pneumonia, even death. There is good news, though. While chickenpox is so contagious that it used to be a universal rite of childhood, we rarely see it anymore because we have an effective vaccine against it. In fact, a recent study found that deaths from chickenpox have been reduced 97 percent in children and adolescents since the vaccine was introduced in 1995. Now for the bad news: Some parents, for various reasons, don’t want their children immunized against chickenpox. 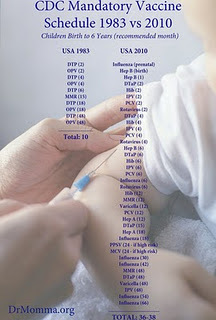 They may believe, wrongly, that vaccines cause autism. Or that having the disease itself provides stronger immunity against another form of zoster virus — a disease known as shingles, which usually arises later in life. This belief is so common that a mom in Nashville, Tenn., is reportedly offering lollipops, Q-tips and spit infected with chickenpox for sale to parents who want to avoid the chickenpox vaccine. For $50 the infected items will be shipped to your door. Something similar has been reported in Phoenix as well. First, it probably won’t work. Chickenpox is usually transmitted in the air; it most likely won’t survive shipment and drying on a lollipop. But other, hardier viruses might. So instead of chickenpox, what if your child ended up with hepatitis? Second, even if it did work, your child might be the one who gets complications. Instead of the mild rash, he could wind up hospitalized. Even if your child did get a mild case of chickenpox from the lollipop, he or she could expose other, unvaccinated people to the virus. People who have immune system problems, for example. This might cause them to get a serious, life-threatening form of the disease. Not good. Finally, it’s illegal. You can’t send infectious materials through the mail or via FedEx. Remember anthrax? The attorney general of Tennessee has announced he is looking into this affair. Bottom line: If you have kids or grandkids, or nieces or nephews, the best way to protect them is to make sure they get all their shots on time. Don’t go looking for ways to give them “natural” immunity. Chickenpox lollipops are not the answer.